Friday, November 9, 2012 . Because I entertain and cook so much, I’m always on the look out for cool linens. I love this line from Studiopatró. 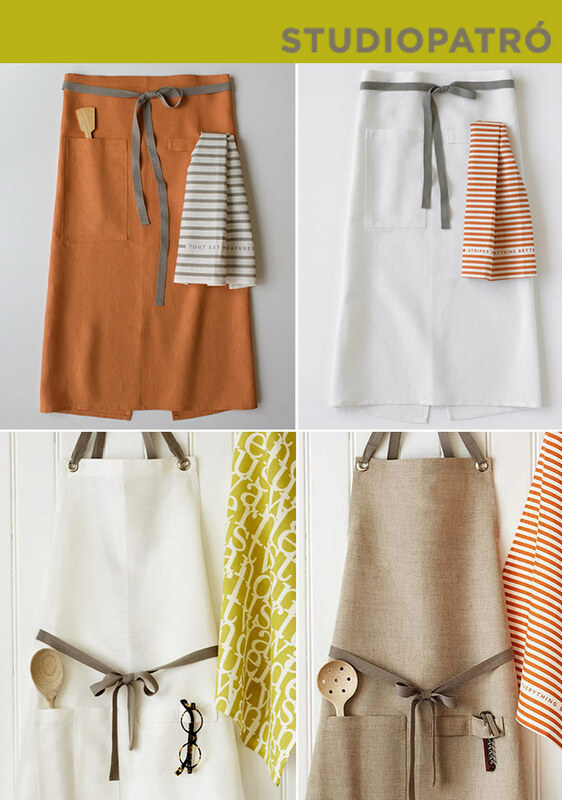 The aprons are super simple and gorgeous and 100% linen, making them even more up my alley. 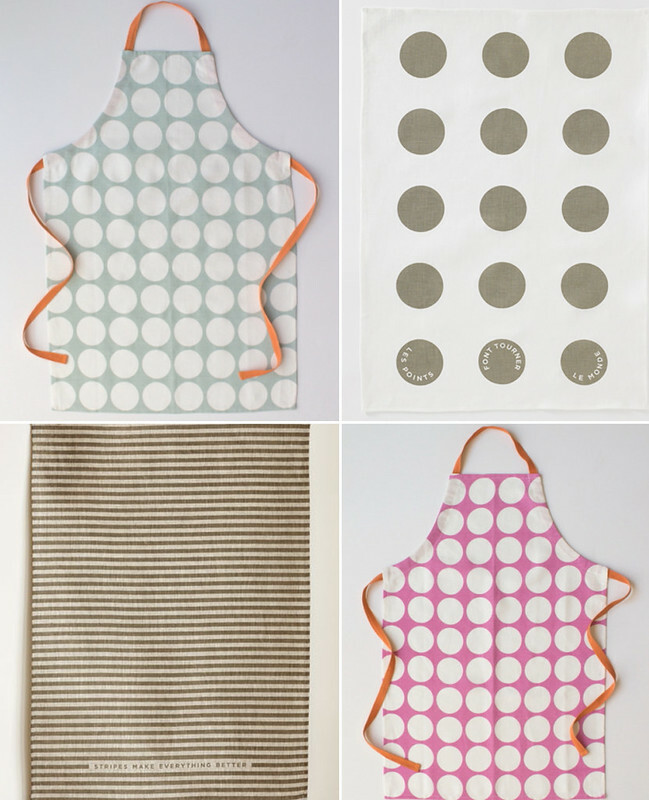 They also have these cheeky tea towels that say things like, “Stripes make everything better” and “Easy as pie.” I also love their line of children’s aprons. Perfect polka dots.